Cold hands and feet is a very common symptom seen among patients. No one ever comes in looking to have their cold hands and feet treated. However, this is a presentation upon which Chinese places a fair measure of emphasis. This is because it points to a circulatory problem that has deeper implications for how well the body is functioning. It is these other functional issues that usually inititiate the search of an alternative health professional. The cause of cold hands and feet primarily falls into two types: one is cold, the other is non-cold related stagnation usually related to stress reactions from the liver. Moxa can treat both. 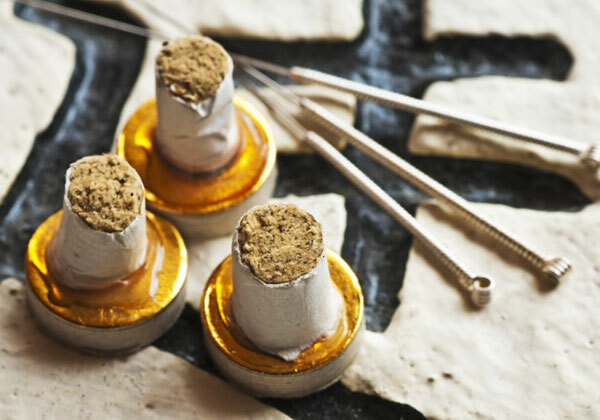 Moxa, short for moxabustion, refers to the therapy and the stuff burned during treatment. There are a number of ways that it may be applied. “Acupuncture” in Chinese is called “zhenjiu” (针灸). It actually refers to both needles (zhen) and moxa (jiu). It is not uncommon that patients receive only needles. This is because of office buildings being averse to the burning of anything, and because moxa requires constant attention and it burns slowly. Frequently, patients will instructed on how to use a moxa roll like the one below at home. However, it is more effective at heating a general area than the focused effects of the needle or stick on type. Moxa is an integral part of treating cold hands and feet. It makes acupuncture more effective by ensuring that the acupuncture impulse travels along the intended pathway. A cold body does not transmit the acupuncture impulse as effectively as a warm one. It is the same principle as blood circulation. A heat lamp can be very helpful in heating general areas, while moxa can be applied in a very specific manner to target organs and pathways that a heat lamp cannot.